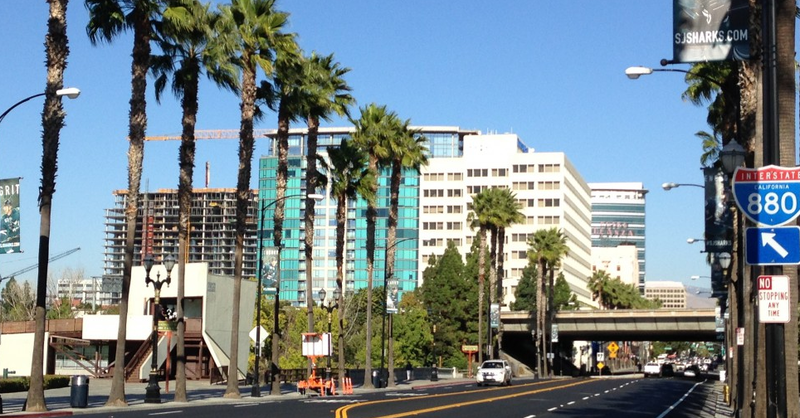 As usual, Mark has some bright ideas on improving Downtown San Jose. His latest blog post proposes converting Downtown rooftops to terraces or gardens. This is an idea I completely agree with and it only takes one visit up to the Capital Club or Scott's Seafood to see the potential "sky terraces" can have Downtown. This is a great way of taking underutilized spaces and turning them into assets that residents can use 300+ days a year. Read the blog post over here! Totally agree! We need to take advantage of the great weather San Jose has to offer and show it off a bit. Look over to Scotts Seafood. I never eat inside there, and you guys have posted about events at that location before! It's a great view and it's great to take advantage of the SJ weather.